The One Module Composition 2014-002 from Tema delivers a perfect mix of style and function. It features panels made of honeycomb inlay framed with chipboard and encased in an MDF shell that is veneered or painted for supreme quality. 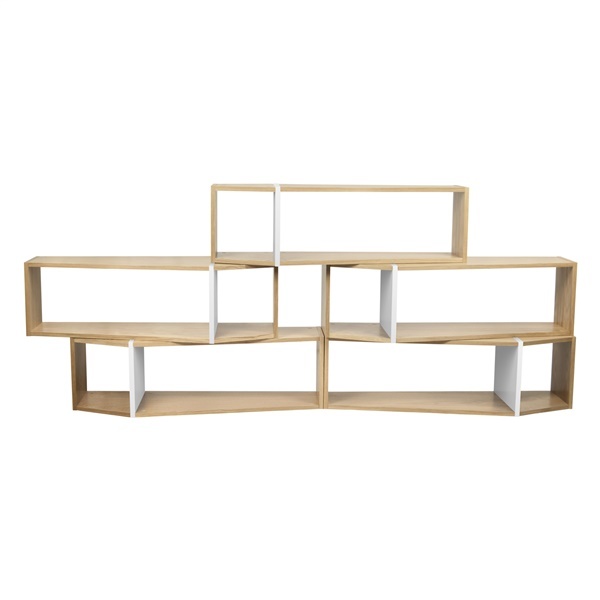 Plus, the shelving unit's stackable design makes the piece a great fit just about anywhere. Choose a shelving unit that will maintain its appearance for years to come with the One Module Composition 2014-002.